Long ago, on the banks of the great Limpopo River, lived elephants who had no trunks. Then, the elephant’s nose was just a bump as big as a boot, that he could wriggle about from side to side. So how did the elephant get his trunk? Come back to the dawn of time and see! 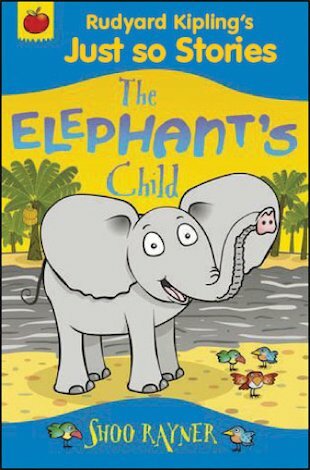 Rudyard Kipling’s timeless fable, retold in this thrilling read-alone book, sweeps you back into a primal world bursting with exotic detail.